The Honey Infused Hair oil is now exclusively available at Luisa Via Roma’s physical store in Florence and on their official website LUISAVIAROMA.COM. In honor of this exciting launch, Negin Mirsalehi visited the Luisa Via Roma store featuring the Gisou Honey Infused Hair oil. As Gisou has that luxury aesthetic with a fashion sense, this collaboration between Gisou and Luisa Via Roma is the perfect fit. Luisa Via Roma is an off-and online high-end multibrand store, that features collections from both well-known and upcoming designers in the fashion industry, such as women’s, men’s, and children’s clothing, shoes and accessories. Every year, Luisa Via Roma organizes a bi-annual event, Firenze4Ever, to bring together fashion, music, design and contemporary art. The event furthers collaborations between brands, media and influential industry figures, by providing the opportunity to exchange ideas and create new projects. During the 13th edition of Firenze4ever, it was the perfect moment to celebrate the partnership between Gisou and Luisa Via Roma and to tell the story of Gisou. 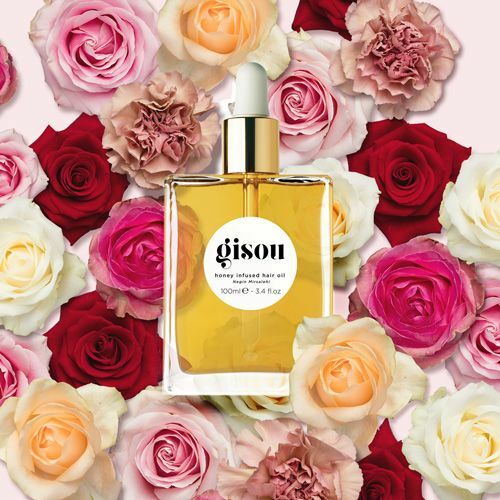 As the Gisou’s Honey Infused Hair oil is the first beauty product in Luisa Via Roma’s collection, Gisou hopes to set the beauty and sustainability-trend, to create awareness for the beauty of nature and its benefits, and to spread the value and importance of saving the honey bee.